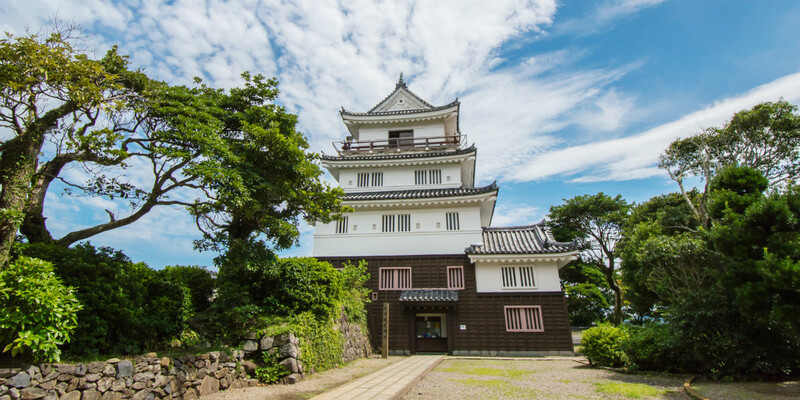 For its first Special Project, STAY JAPAN offers a couple a chance to spend one night in Nagasaki’s Hirado Castle, for free. Enter our lottery and try to win an overnight castle stay for two. Don’t miss the opportunity to enjoy this unique experience! 3. Enjoy a superb dinner served inside the castle tower, just like great lords did 400 years ago! 8. Let yourself be surprised! 1. Open the form and enter your email address. That’s it! *The winners will be notified by phone or email. Please note that only the winners will receive a notification. *Make sure that your name, address and contact information are correct as we will contact the winners via email or phone. *Please note that we cannot accept cancellation requests. Please contact us if you are unable to come due to sickness or injury. *The cost for domestic flight tickets as well as transportation expenses from the meeting place to other locations will be borne by Hyakusenrenma Inc. and Hirado Castle. *However, the cost of international flights tickets must be borne by the winners. *Even in case of bad weather, the program “Hirado Castle Stay and Omotenashi Tour” will be maintained. The content of the program may however be modified. *The content of the activities may be modified without prior notification. *Please note that various media (TV, magazine, newspaper etc) may be present to cover your stay. *We may periodically send information about castle stays and promotional campaigns to your email address.